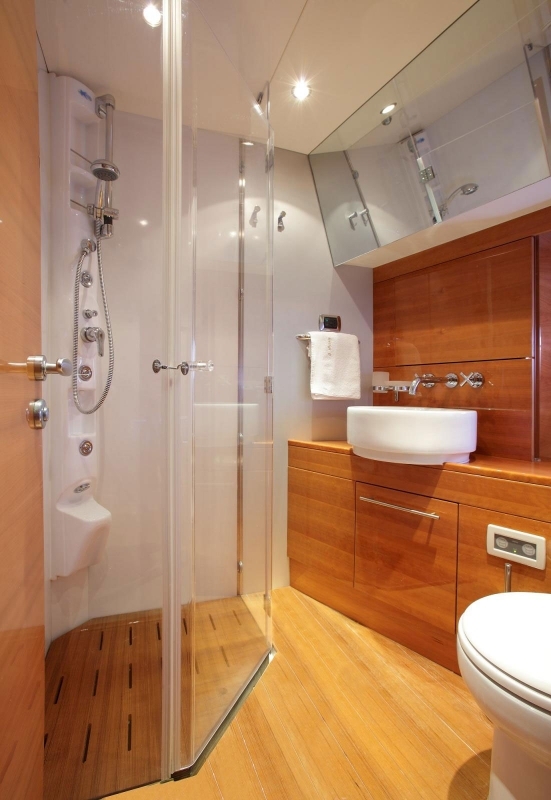 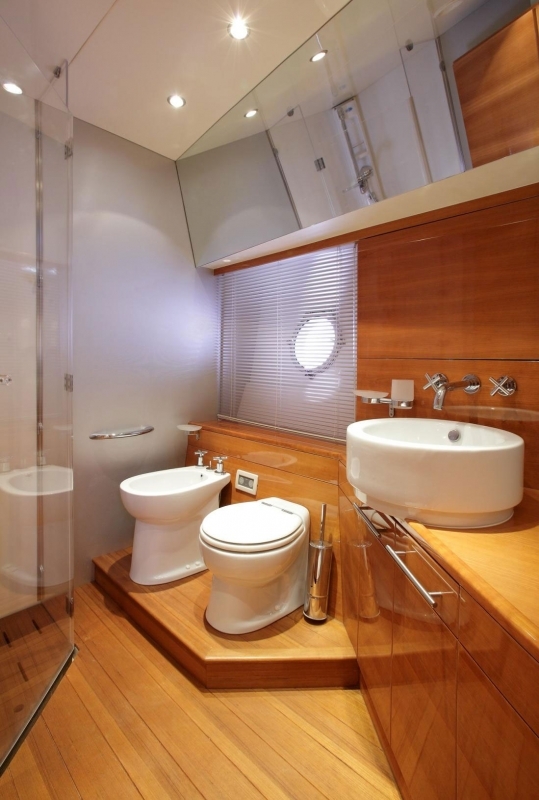 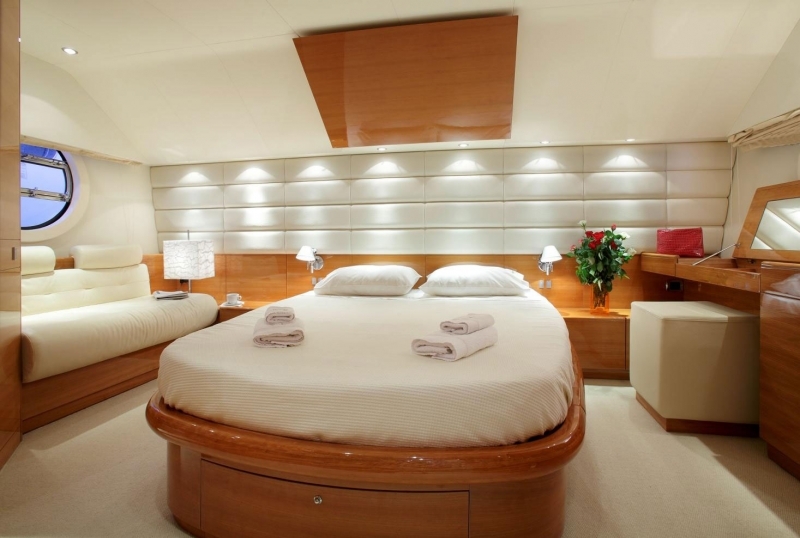 Cabins: 1 master, 1 VIP, 1 twin, 1 with upper & lower deck & separate crew cabins. 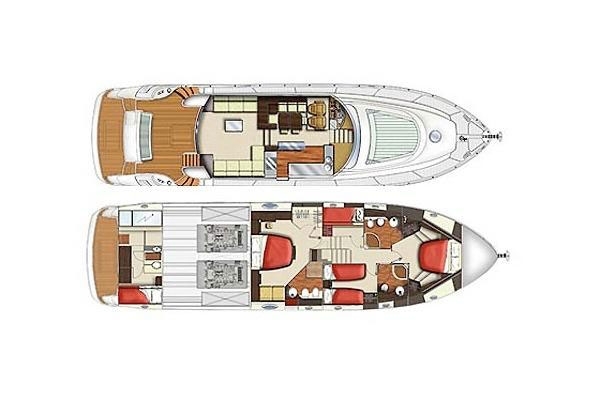 The four cabins accommodate eight guests with one master cabin and one VIP cabin, each with en suite facilities, and one twin cabin and one cabin with upper and lower berths that share facilities. 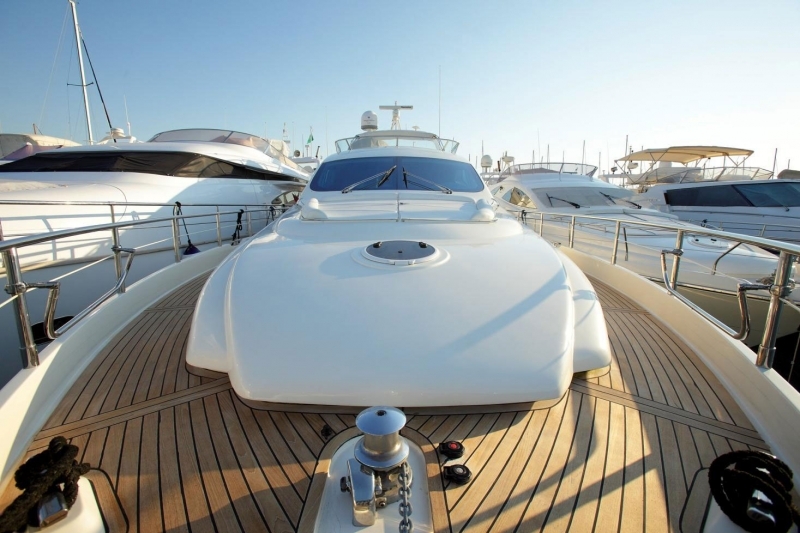 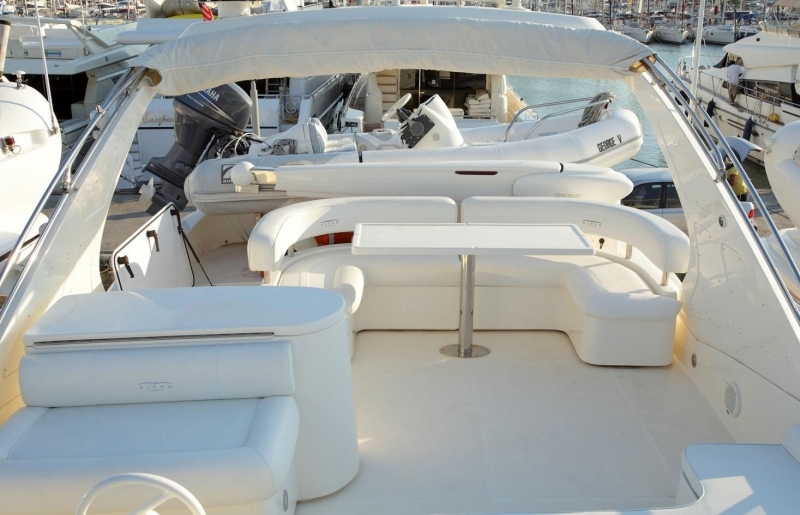 A crew of 2-3 services this yacht and her guests for an incredible yachting experience! 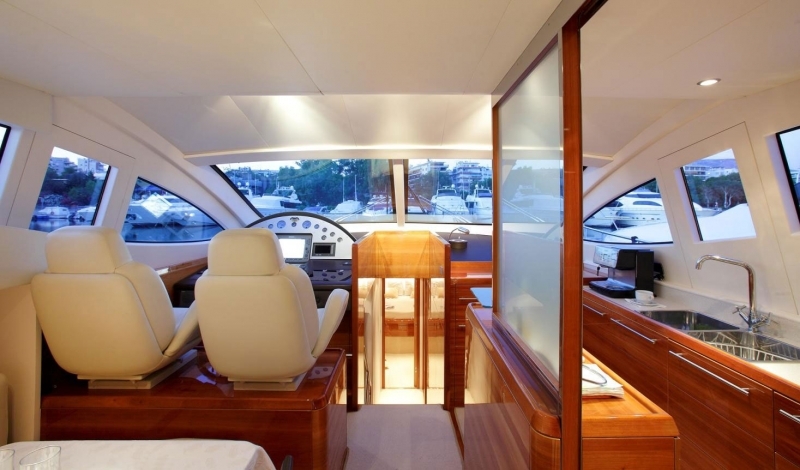 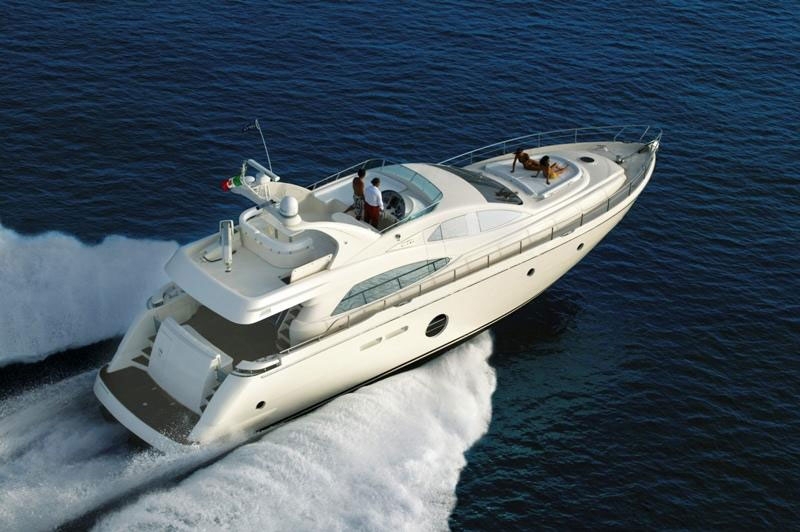 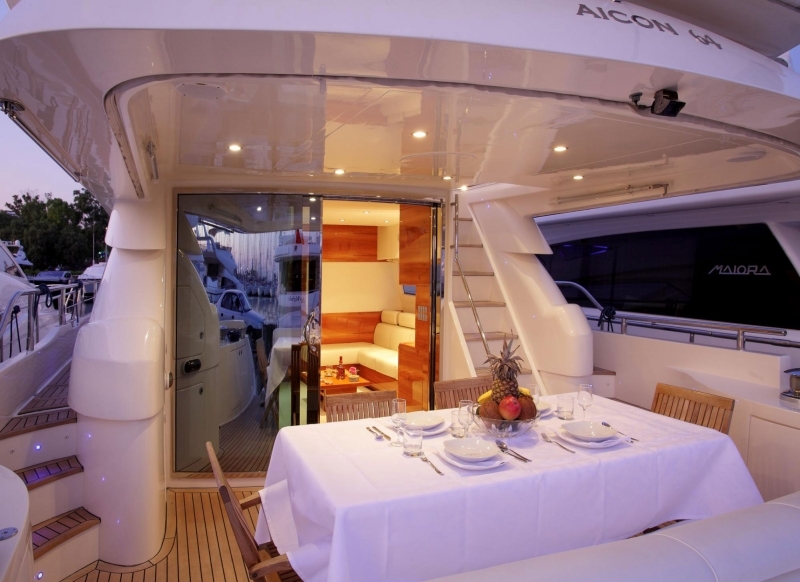 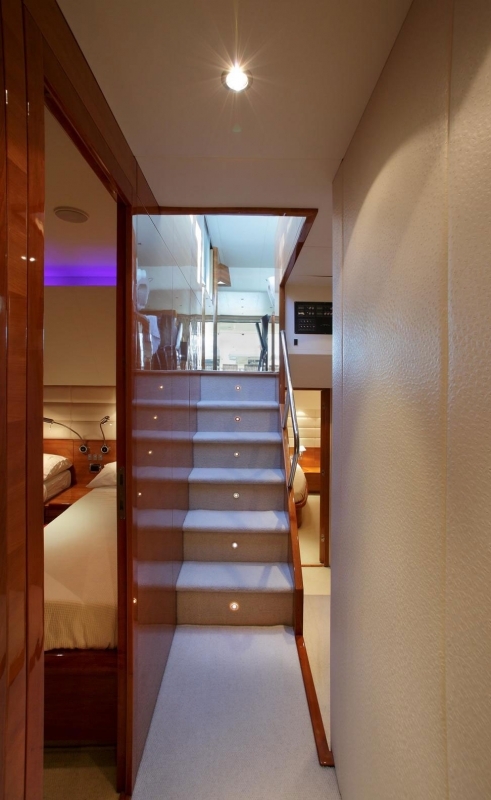 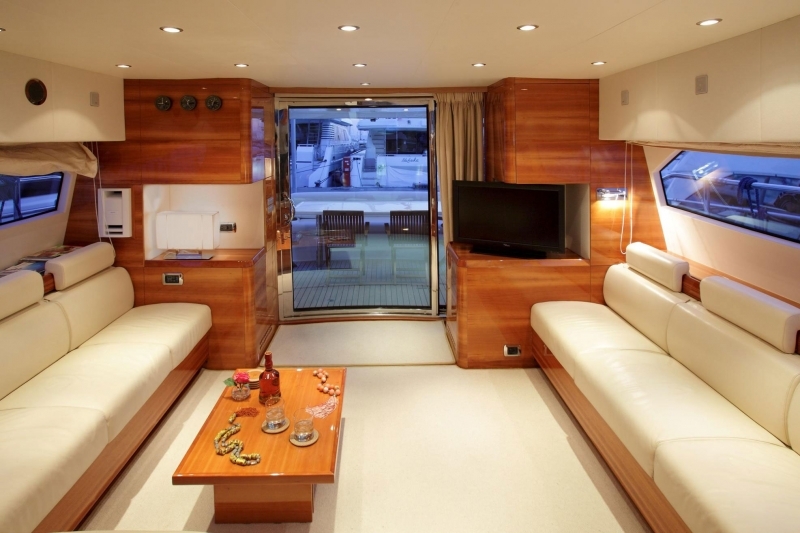 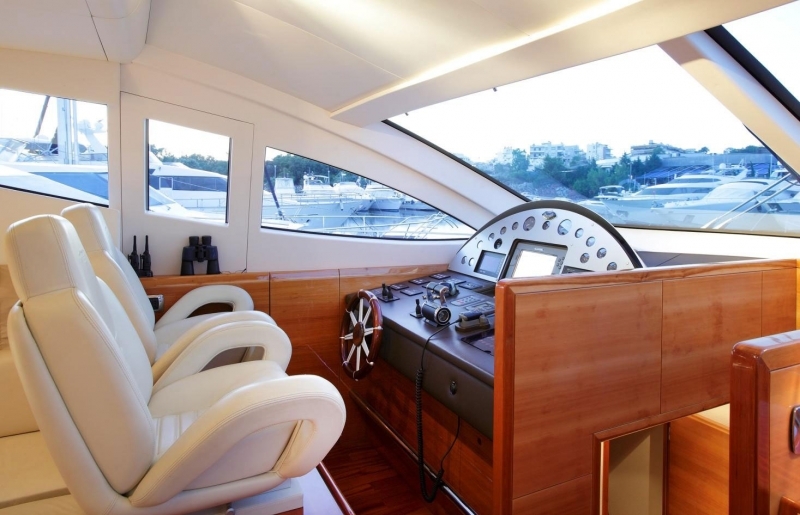 This AICON 64 motor yacht is available for crewed charters in Greece, in the Greek islands, East Mediterranean. 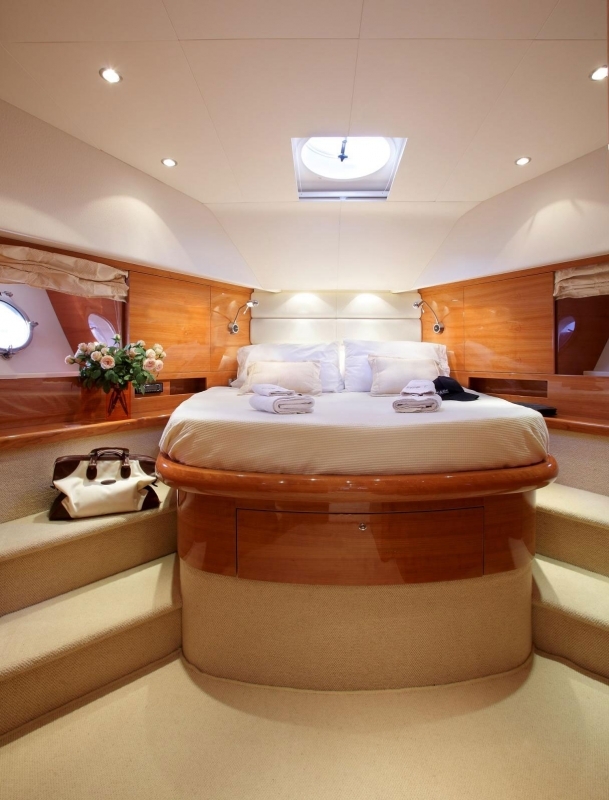 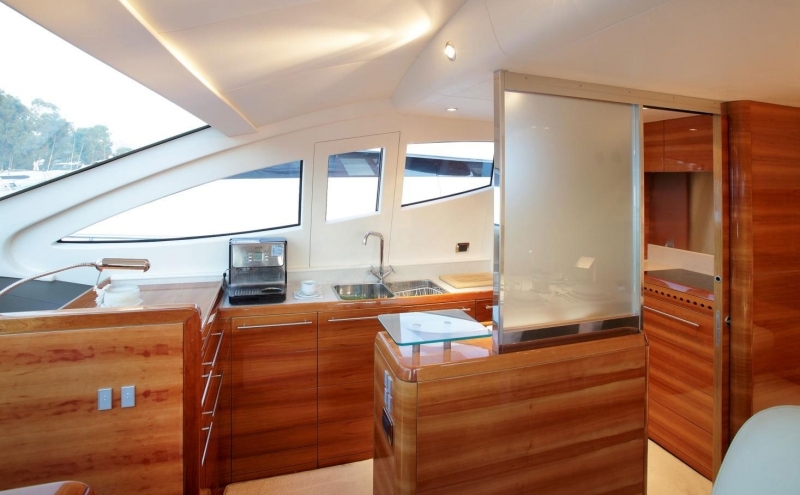 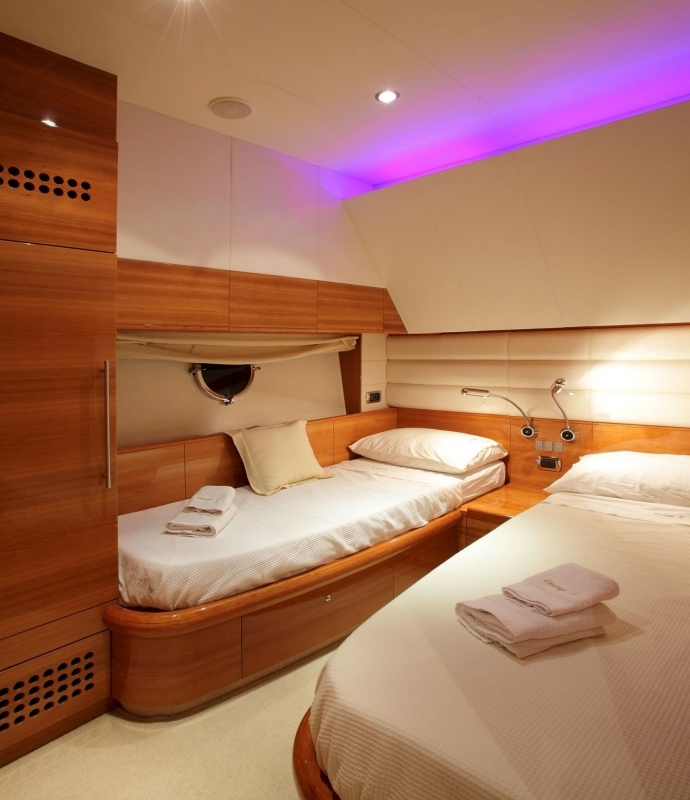 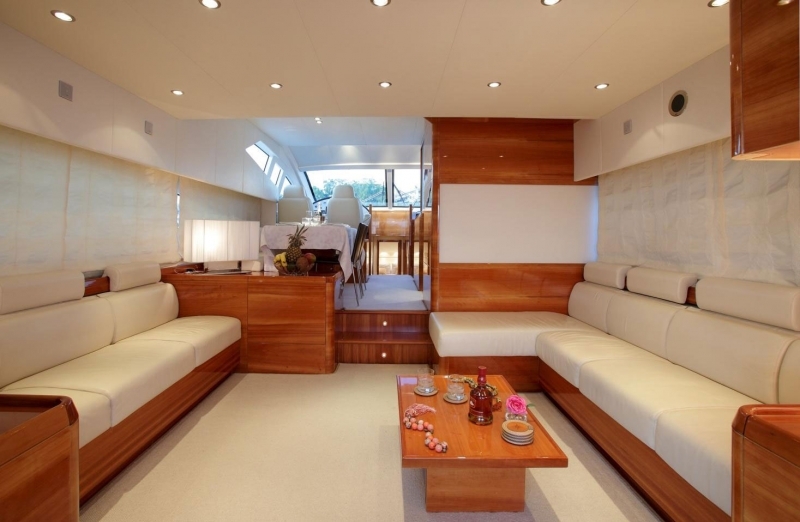 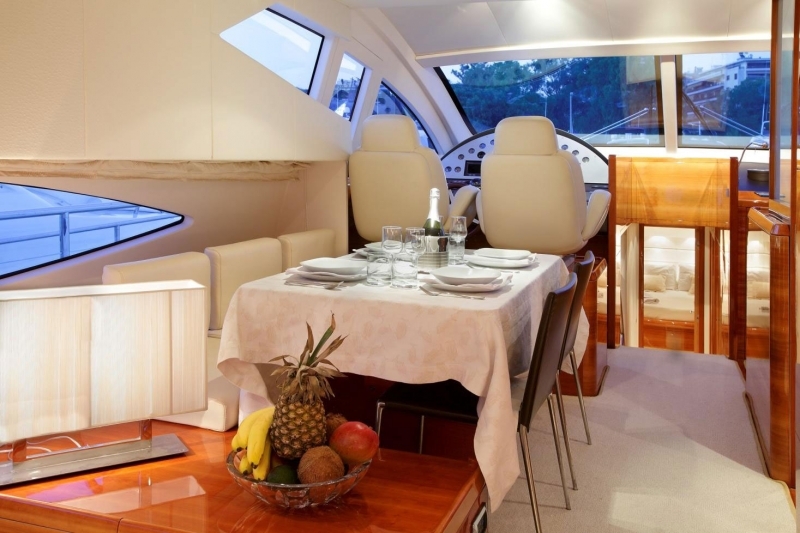 Rent this elegant yacht and enjoy the most unforgettable sailing holidays!